Discard any perishable food (like meat, poultry, fish, eggs, and leftovers) that have been above 40 °F for over 2 hours. For the refrigerator: Pack milk, other dairy products, meat, fish, eggs, gravy, and spoilable leftovers into a cooler surrounded by ice. Inexpensive styrofoam coolers are fine for this purpose. A freezer that is half full will hold food safely for up to 24 hours. A full freezer will hold food safely for 48 hours. Do not open the freezer door unless necessary. Listen to and follow public health and safety announcements. Carbon monoxide (CO) is an odorless, colorless gas that can cause sudden illness and death if you breathe it. Never use generators, pressure washers, grills, camp stoves, or other gasoline, propane, natural gas, or charcoal-burning devices inside your home, basement, garage, or camper—or even outside near an open window, door, or vent. If you are too hot or too cold, or you need to prepare food, don’t put yourself and your family at risk of CO poisoning—look to friends, family, or a community shelter for help. If your CO detector sounds, leave your home immediately and call 911. For further guidance on avoiding CO poisoning, go to http://www.bt.cdc.gov/disasters/carbonmonoxide.asp. To prevent illness, disinfect and dry buildings and items in them. This will prevent growth of some bacteria, viruses, mold, and mildew that can cause illness. Avoid wild or stray animals and biting or stinging insects. Call local authorities to handle animals. Dispose of dead animals, according to local guidelines, as soon as you can. For more information, contact your local animal shelter or services, a veterinarian, or the Humane Society for advice on dealing with pets or stray or wild animals after an emergency. For information on specific animal and insect issues, see go to http://www.bt.cdc.gov/disasters/animalhazards.asp. CLEVELAND – Public Safety, Works and Utilities crews across NEO are working as much as possible to clear debris from homes and buildings, clear downed trees and power lines, and secure flooded areas in addition to responding to emergencies. 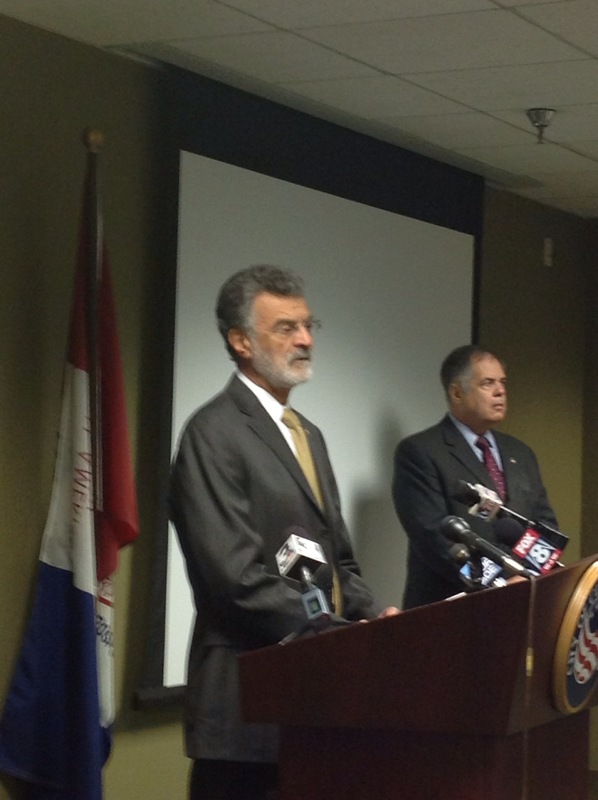 Cleveland Mayor Frank G. Jackson and Public Safety Director Martin Flask offer overnight status after Hurricane Sandy. The city of Cleveland is continuing to face severe weather conditions and the impact of Hurricane Sandy. Roads may be blocked by downed trees and power lines. Several traffic signals are out. Please treat these intersections as a four-way stop. The public should use extreme caution if they must be on the roads. The Division of Fire responded to 1100 assignments, mostly weather-related hazard assignments including downed power lines over the last 24-hours. 36 fire apparatus were deployed and an additional 12 one-person crews were called up to assist with downed wires. Police responded to 1400 assignments during that same time period. Shifts have extended by four hours. The normal 10-hour workday is now 14 hours. We have at least 128 assignments pending as of 8 a.m. Approximately 40 individuals are working traffic control – Traffic Controllers, Cleveland Police District Officers and Community Service Officers. WARN Wide Area Rapid Notification messages were sent to approximately 40,000 Cleveland seniors. EMS handled 334 calls for service over the last 24-hours. Urban Forestry received 160 reports of trees down overnight and that number is rising. The majority of these are on the west side of the city. Eight crews are currently working with an additional 13 crews being deployed. Blocked streets are the priority. This is complicated by downed power lines. To report trees down, call 664-3104. Cleveland Public Power is reporting 10,500 customers without power as of 7 a.m. today. 58 crews are working to restore power. The priorities are downed lines and transformers. Service has been restored to nearly 7,000 customers since 3 a.m. However, ongoing weather conditions are causing additional outages. Please call 664-3156 to report an outage. Cleveland Water reports no impact to water service at this time. Water Pollution Control reports flooding at Big Creek, Broadway & Turney, Memphis &Fulton and Doan Brook. Flooding is predicted at Euclid Creek. We are also checking known problem areas including underpasses and low-lying areas. To report flooding, call 664-2513. Flight operations at Cleveland Hopkins International Airport have been suspended until at least 3 p.m. today. The airlines may assume a limited schedule at that time. Route 237 is closed due to flooding. Access to the airport is maintained via I-71. Burke Lakefront Airport has sustained damage and is being assessed. There is currently no air traffic at Burke.